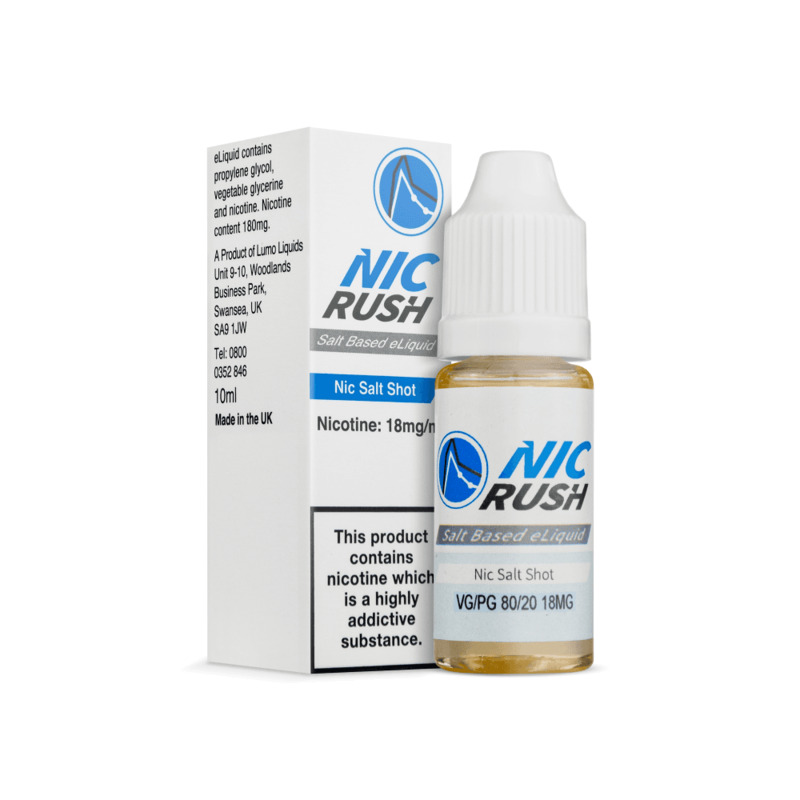 This Nic Salt Shot from Nic Rush can be added to a short fill e-liquid to give it a boost of nicotine! This nicotine shot has a nicotine strength of 18mg and uses nicotine salts, so when mixed with 50ml of nic-free e-liquid, will give you 60ml of e-liquid with a nicotine strength of 3mg. Nic Salt Shot has a 50% VG / 50% PG formula which is best used with e-liquids of a similar consistency. Great but it's 80vg not 50 as advertised.